JeepForum.com > Models > Jeep Wrangler Forums > YJ Wrangler Technical Forum > Another YJ / LJ build..
Another YJ / LJ build.. Staying with leaf springs... considering SOA, . Accessories: Electric fan, Chevy alternator, header and 3" exhaust, blower motor, herculined, and headers. Don't hold your breath Que, Its going to slow going... Haven't even bought a doaner Jeep. Did find an 8.8 for pick up after work today. Questions as I have been gone since the newer website... Runs terribly slow and freezes often... Chrome and IE, common? Haven't had problems with Chrome or IE and I use IE at work and Chrome at home. Even running IE11, the forum has been pretty peppy. Excited to see your build come together. Going to look at it saturday. Most of it sounds like I'll be CL parts. go to the far bottom left. You can change the website back to the original manually. The new one doesn't look of work well. NHfireLJ and slowlowford like this. Front Axle: 77 Ford HP D44 with high steer knuckles and Detroit Tru Trac. 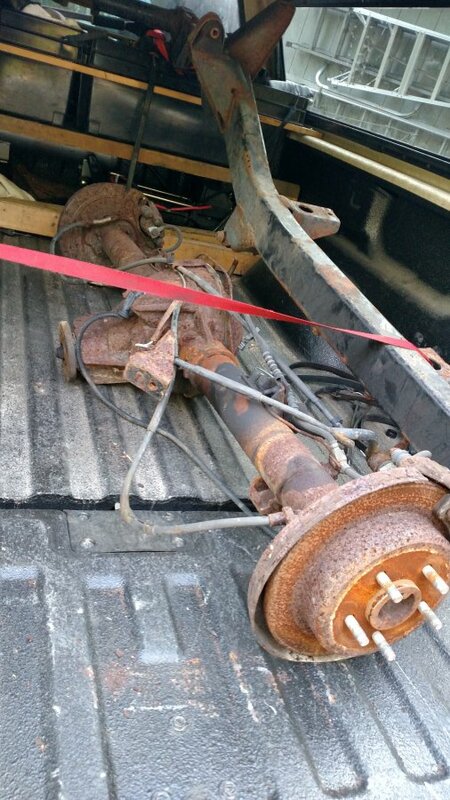 Rear Axle: 85 Ford 9" with a True HI9 center, ARB, and 35 spline Currie axles. Suspension: Junk yard U bolt flip and cheepO 5" lift springs frow 4wd. Future Mods: I get my tube bender and the sky's the limit. I can't to see this build. I want to push mine out to scrambler length. Lots of photos please! "That's more fun than watching a hippie get mauled by a bear!" Front Axle: Dana HP30 w/Spartan Locker, XJ Shafts, CAD Delete. I like I-6's more than V-6's as long as the room is there. But that's me. ever think of having a desert Jeep shipped to you? The shipping cost might be worth it to avoid rust. Recovery: Warn M8274 need I say more? Looks like you're back at it. Don't know if I would have the motivation for another build if I already had an LJ built in the driveway...but power to you. I'm looking forward to the potential build. I really enjoyed dukegnarleys build as well as Lilviper. Either are good ones to get ideas from. I have a jeep...and it is modified...I win. Never thought about that, But I'll keep that in mind, Great idea. You may official be on the hook..
Eh, the 4.3 is a good motor. But really i'd stick with the inline if it were me. 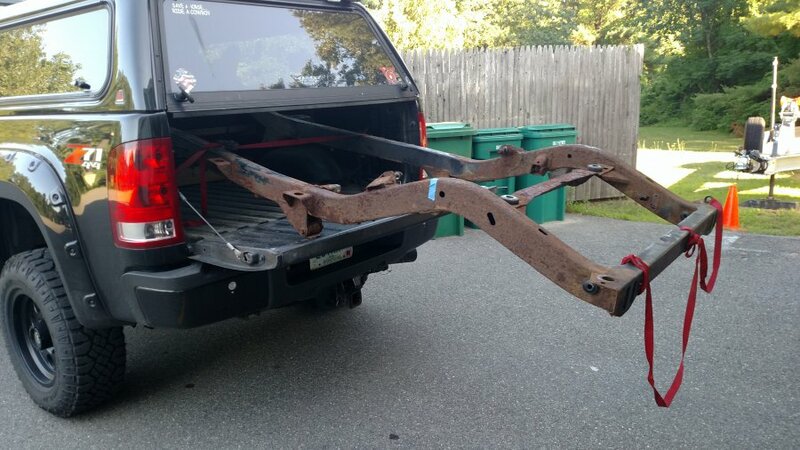 Fwiw I bought a rusted out 98XJ for like $120 (that was the dollar value for weight from the junkyard at that time) that ran well and drove in spite of the rear springs poking into the rear hatch floor area. That's a pretty cheap way to get a 4.0. 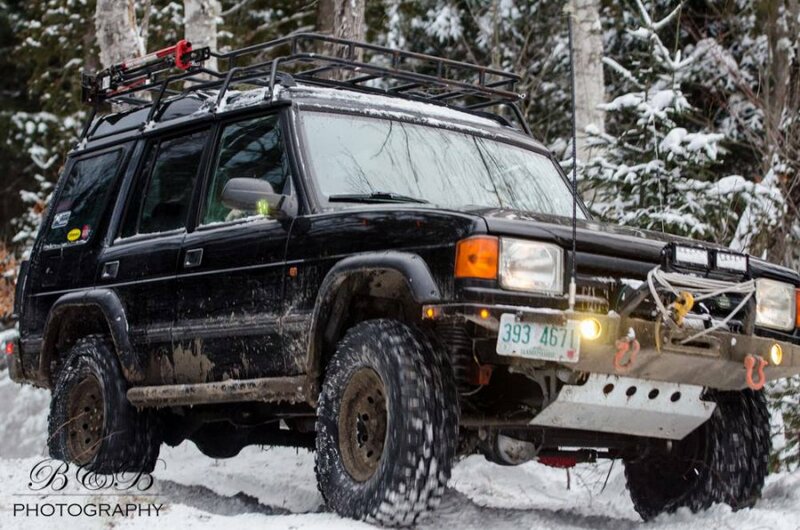 It gave up a front CV driveshaft to mid for SYE, a 231 transfer case, ebrake mech, roof rack, and overhead console light before it went to heaven for junks. Even at $400 it would've been worth it.